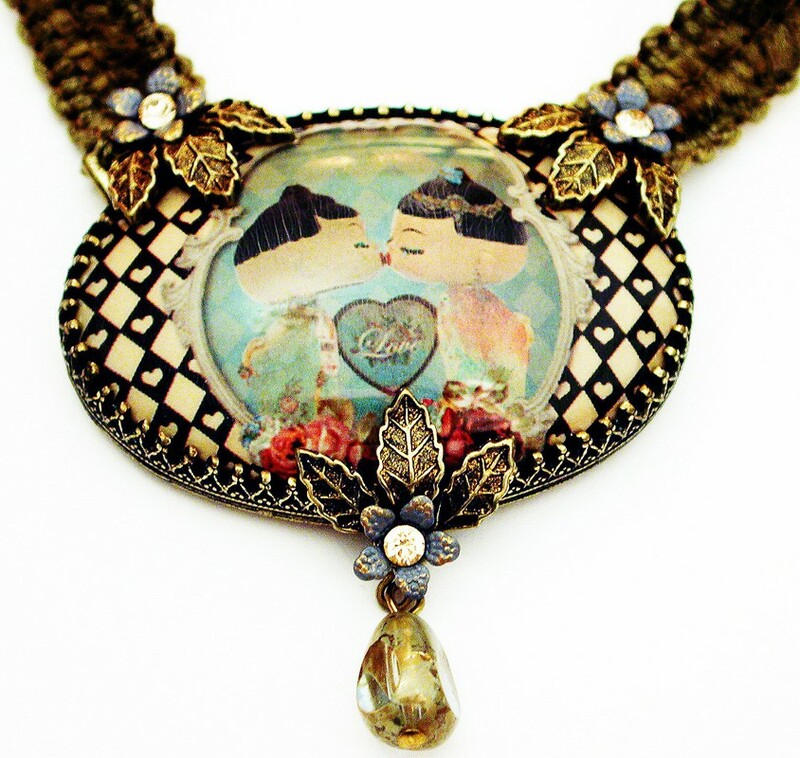 Michal Negrin necklace with a Dolls Kiss cameo, sparkling Swarovski crystals, painted flowers and gold tone leaves. With a khaki velvet strand that ends with a metallic chain. 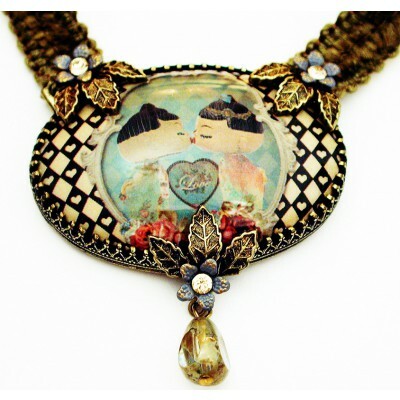 The pendant measures 2 inches wide and 2 1/2 inches high. The necklace length is adjustable.